Peanut butter is SUCH an obsession of mine. It makes everything better! 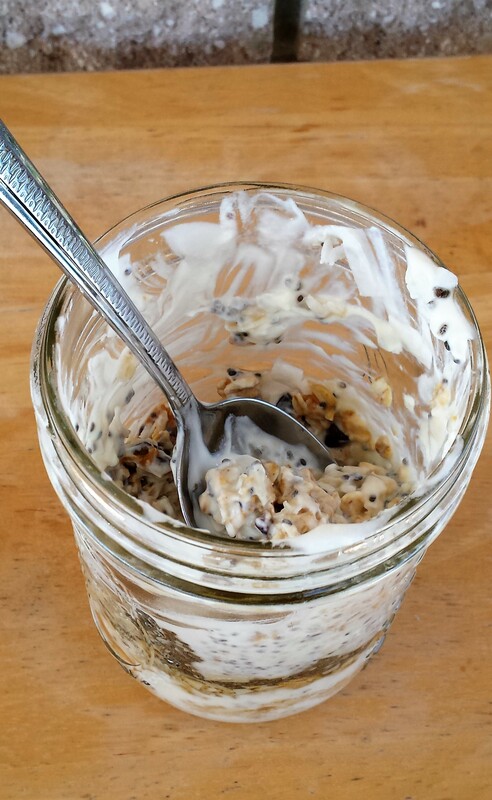 Even yogurt, which is a delightfully worthy breakfast companion in itself – but add to it some yummy natural peanut butter and and raw organic honey and shredded unsweetened coconut and crunchy cacao nibs and it’s an I’ll-never-leave-you! breakfast companion. The fact that this bad-boy is totally processed-sugar-free just sweetens the pot . . . er, I mean Mason Jar. 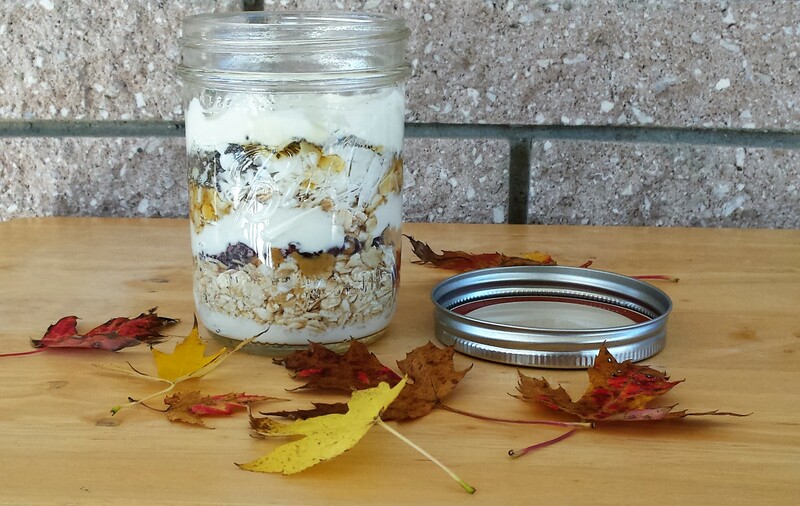 Because yes, if you make this yogurt breakfast parfait in a Mason Jar as I did, you can totally make it ahead of time in a nifty time-saving fashion – which you’ll be so glad you did when you’re stumbling out of bed at 5 a.m., all groggy and not-wanting-to-go-to-work-y. At least you will have this delicious, healthful, and filling breakfast to look forward to! Layer the ingredients into a Mason jar or bowl however prettily or as sloppily as you’d like – and you’re done! This can keep in a lidded container in the fridge for several days, so you can make them in batches ahead of time.